Since becoming self-employed almost a year ago I’ve had to rapidly learn the ways of the man on the move and get used to working outside of the typical office environment. With no fixed office aside from my dining table at home, I’m forever working on the go and it’s been a real learning curve. More and more people are shifting to the self-employed lifestyle and on the surface it seems like the way to go, but there are definite drawbacks that can have a real impact on productivity and efficiency. It’s important to forward plan your day to maximise your time and be successful. 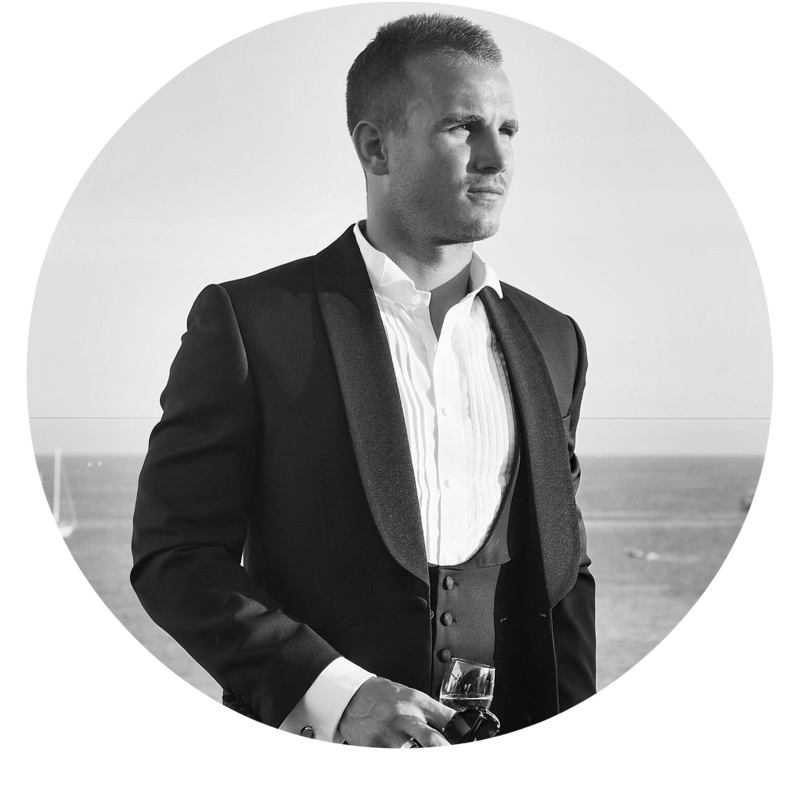 Here are my top ten tips for the modern day gent to make the most of your time and be more effective when on the move! Admittedly I’m not always the best when it comes to forward planning, but since changing things up and implementing more of a structure to my day, I’ve become a hell of a lot more productive. The first step is to pick up a weekly planner or journal and plan your day out to ensure you spend your time wisely and in the right areas. It’s key to prioritise and I tend to write a ‘to do list’ and then review things immediately, often halving the tasks based on the priority and importance. Breaking tasks up can make things feel less daunting and try to avoid building things up into a bigger challenge than they really are and just ‘crack on’! Also try to avoid early morning emails, tackle the bigger tasks head on before getting distracted by that never ending rabbit hole that is your Gmail inbox. I’m someone who is very (!) easily distracted and when your home becomes your work space the lines can become very blurred and distractions are rife. Whether it’s the postman knocking every few hours to deliver another ASOS delivery, the Jehova’s witnesses (it’s happened twice already!) or a basket full of washing, there are countless distractions in the home to take you away from the task in hand. I find I’m most productive when working away from the house, in an busier environment surrounded by other people and less homely distractions (namely the pups!). A great place to escape to and call home for the day is the newly opened Cafe Nespresso on Broadwick Street in the heart of Soho. Perfectly placed for central meetings, I love the buzzing atmosphere and it’s a great place to grab one of the best coffees in town! Earlier I mentioned that avoiding emails early on in the day and focusing on the bigger tasks can be much more effective. Research has shown that when the mind is fresh in the morning it’s capable of processing bigger, more challenging tasks and I find it’s always best to get these well out the way before lunch and the dreaded afternoon slumber. Why not challenge yourself to cracking the hardest of work challenges before the 11am coffee and then you can sip on that double espresso victoriously! Over the past few months I’ve become rather coffee obsessed and in order to get any work done, I first need that caffeine fix. A black coffee or double espresso in the morning with breakfast is the perfect boost to kick off a productive day and I find coffee is the ideal ‘snack’ to re-energise when things are becoming a little ‘much’ later on. This is of course another reason I love working from the Cafe Nespresso, there is a fantastic coffee on tap and nothing beats a barista made flat white or carefully crafted double espresso. Take a moment, collect your thoughts and grab a coffee – things become remarkably clearer and easier – it works for me that is. Meetings are a great opportunity to get away from the desk and emails and of course build relationships and generate new business. Personally I like to designate a day or two a week specifically to meetings, ensuring I’m in the right frame of mind and to maximise my time. I always prefer to have my meetings at the same place, avoiding wasting valuable time travelling and rushing all over London in between. It’s therefore good to find somewhere centrally located, that serves great coffee and has a friendly ambience without being too loud. Cafe Nespresso ticks all these boxes for me and the Soho location is perfect for those all important client meetings. It’s become a real habit for many of us to sit and eat our lunch at our desks or on the way to meetings. This isn’t great from a digestion stand point nor is it an effective use of time. Lunch is the ideal opportunity to take some time out of the day, collect your thoughts and give the mind a break from emails and staring at a computer screen. Get out of the office, grab something to eat and sit outside of the work environment while you recharge. I live a pretty healthy lifestyle (Monday-Friday!) and I love the offering at Cafe Nespresso – from healthy salads to flat breads there is plenty to satisfy your hunger and help you refuel for a hectic afternoon. Everything is available to eat-in or takeaway, so whether you are keen for a bite to eat in the London sunshine (!) or in the shop itself, Cafe Nespresso have you covered. My personal favourite is the beetroot and goats cheese salad, guaranteed to hit the spot. Exercise and working out is one of the best ways to keep those energy levels up throughout a working day. Strangely enough I feel at my most energetic straight after a tough HIIT or weight session and general belief is this is due to moving the blood around the body and getting everything moving. I prefer to workout late morning, so get a few tasks completed first then hit the gym before heading into town for meetings, but of course an hour at lunch or in the afternoon can have just the same effect – basically keep active! When you work for yourself it can be extremely difficult to take breaks from work but it’s important for the mind and the body to take time out from tasks, even if it’s a short 15 minute breather. I find reading a newspaper or magazine for 15 minutes every few hours can let the mind relax and refocus, making tough tasks easier to go back to and complete. Put it this way, if a daily task is becoming overly challenging, take a breather, go for a walk or grab a paper for 15 minutes and the head back to the task and attack it head on! This one’s basic and may seem obvious but only 1 in 5 of us drinks the required amount of water on daily basis. When things get hectic it’s easy to forget to take a swig but it’s essential to your health and wellbeing. Upping the amount of water to you drink on a daily basis at work may mean more trips to the Gents, but will leave you feeling more energised and refreshed throughout the day. We may get separation anxiety without that beloved smartphone within touching distance but it’s becoming more of a hindrance than a help when it comes to getting things done. I am a social media addict and even though it’s a key part of my job and daily routine, it’s important to put the phone to one side and focus on the task in hand. Social media, YouTube, Sky Sports – ultimately are a distraction and it can be easy to get ‘lost’ for hours without having realised. Put the phone on loud but stick it in a bag pocket or out of touching distance and you’ll notice you are a hell of a lot more productive when it comes to completing tasks! I’m definitely still learning the ways of the man on the move and how to be as productive as I can be, but hopefully the above tips may help some of you when it comes to being more efficient and effective in the work place. *This post has been written in collaboration with Nespresso, although all views and opinions shared are my own.